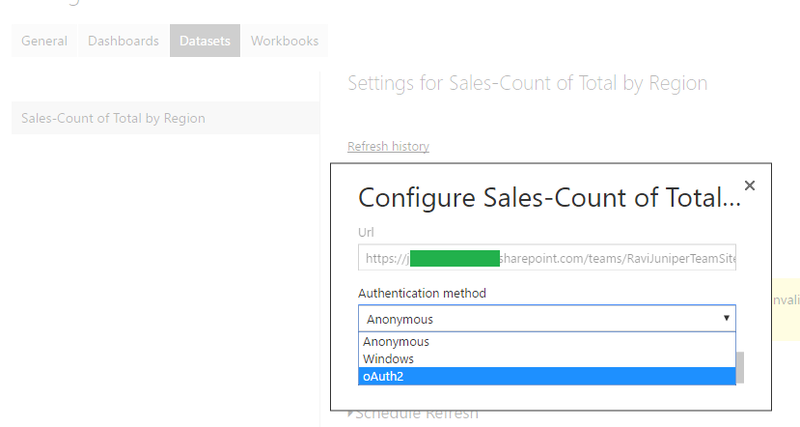 Recently, I had a requirement where sales team wanted to present SharePoint List data as a Pie Chart in the Dashboard. The customer list had around 10K items. Initially, thought of exporting the list contents to Excel and create a Pie Chart within Excel workbook. Display the same chart in SharePoint using Excel web part. This works well. But the issue is, if the source data changes, you need to update the excel. 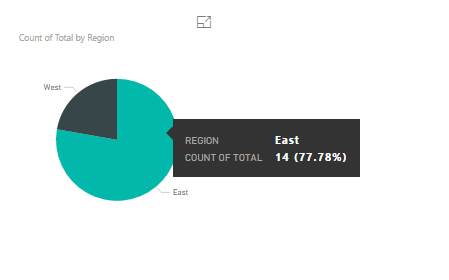 There is no direct sync between SharePoint list and the Pie Chart. After some research, found that we can use Microsoft Power BI to analyze the list and build the chart. 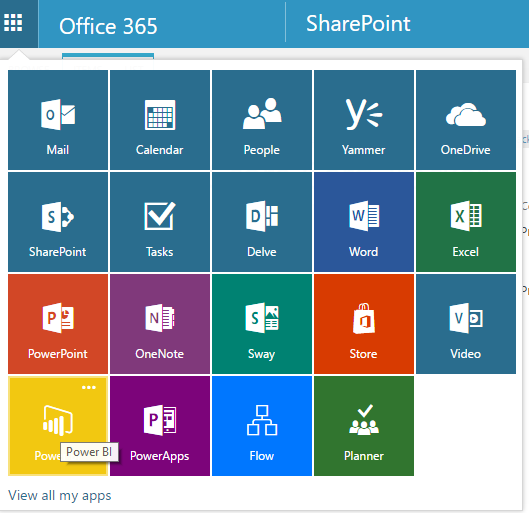 Office 365 App launcher has the web version of the Power BI. But after connecting to SharePoint list found that, web version works only with SharePoint document library, not with SharePoint Lists. It doesn’t even populate SharePoint lists while making a connection to SharePoint. 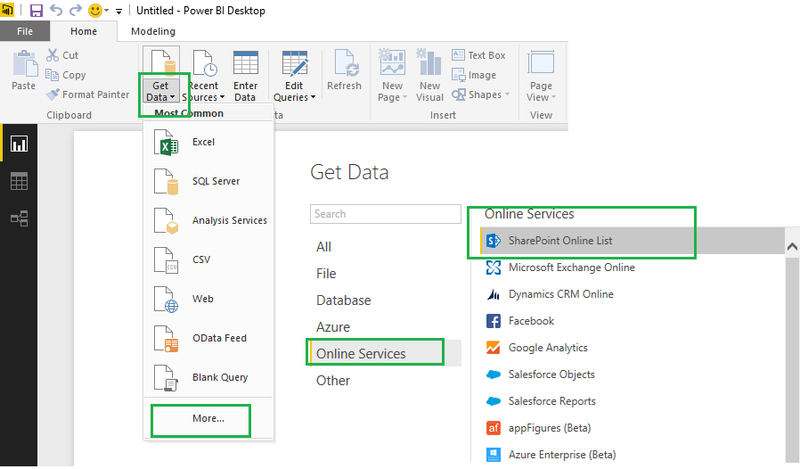 After some exploration found that, we can use combination of Desktop Power BI and web version of Power BI to integrate with SharePoint List. So without much wasting time, lets begin. After installation, open the “Power BI Desktop” icon from your desktop. Click on Sign In and Sign in with your office 365 credentials. 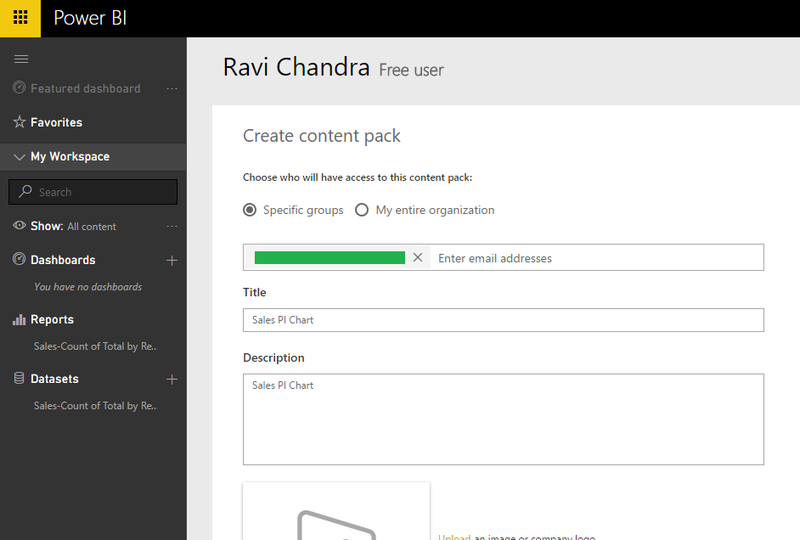 Click on Get Data and Select SharePoint Online List. Enter the Site URL. Select the appropriate login. In my case it is “Organizational Account”. Select the List (in my case it is “Sales Data” List) from the display and click on Load Optionally, you can remove/manipulate the columns and its values based on the type of report you wish to have. In my example, I want to create a simple report of Count of Sales by Region. On Visualisations, select the Pie Chart. Drag and drop the Parameters. Save the file with extension pbix. Click on Publish button on the Ribbon. This will push the Report and its Dataset to your Office 365 Power BI Version. 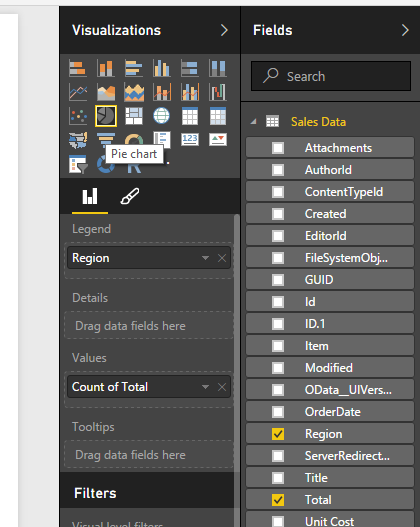 In web Power BI version, click on the on the Data Connection, under Datasets. Under Data Source Credentials, click on Edit Credentials. Select OAuth2 and provide your credentials. Click on Schedule Refresh and make the changes. Click on + sign under Dashboard and give a name. To add the Report, select the Report and click on “Pin Live” Page. Select the Dashboard and click on Pin Live. Give user email address, select the Report to you wish to share. Click on the Report and click on “Publish to web” in the File menu. 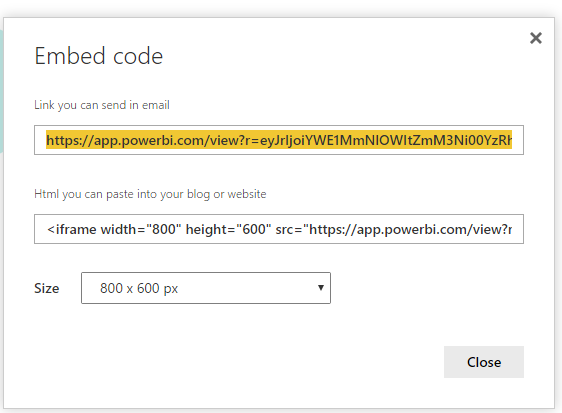 The popup will give you the direct URL or you can put the embed the code in Iframe. You can use this embed code in a SharePoint page to display the report. Yes this has been useful. One thing that isn’t obvious is being to resolve users ( Modifed , Created etc) once I have surfaced my Online list in Powerview.